A zero-fee scheme – suitable and realistic for the New Zealand higher education system? The Labour Party announced its plan for a zero-fee system in January 2016. The ‘Working Futures Plan’ promises a life-time entitlement of three years of post-school education. This plan is predominantly targeted for new school leavers as it will be introduced gradually from 2019 onwards and excludes people with prior tertiary education attendance. Labour’s plan includes other post-school avenues, e.g. apprenticeships, but the scope of this paper is on the tertiary education dimension. The zero-fee policy echoes National’s ‘Study Right’ effort in the 1990 general election, promising to abolish the Labour party introduced $1250 tuition fee. Aligning with the Working Futures Plan, the Study Right promised three years of free post-school education for all school leavers. Infamously, the actual policy outcomes were far from the spirit of this election promise: New Zealand experienced a rapid growth in tuition fees under the National Government. This growth slowed down in the beginning of the 21st century following Labour party introduced fee stabilisation policies, but even since then, the average trend has continued to be towards higher fees. However, this development is by no means supported by all politicians. Over the past two and a half decades the abolishment of tuition fees has been advocated by almost all smaller parties. Towards this backdrop, the Labour Party’s 2016 suggestion cannot be classified as a radically new policy idea. However, it has the potential to represent a significant departure – both ideologically and cost-sharing ratio wise – from the policies that have been in place since the early 1990s. How does Labour’s policy proposal appear in the international context? Real-life policy changes from tuition fee models to zero-fee systems are rare and the overall direction points towards increased cost-sharing from the government to the students. Nevertheless, examples of zero-fee punctuations do exist: fees were for instance abolished in the mid-90s in Ireland and in 2014/15 in Germany. Moreover, a significant number of countries, such as many of the continental European and Nordic, have resisted the tuition fee path and continue relying on public funding. So, could the zero-fee model be the future in New Zealand? This paper will address the principles of higher education cost-sharing and ask two key questions. Can we afford a zero-fee system? And who would it benefit in the New Zealand context? First, we need to consider the value of tertiary education in our 21st century lives. Have tertiary education qualifications become prerequisites for entering the future workforce? Many of the changes we have seen, e.g. manual jobs becoming obsolete indicate in this direction. For instance, a 2015 study by CANZ concluded that almost half of the jobs in New Zealand are in risk of automation in the next two decades, aligning with the findings from the US context (Frey and Osborne, 2013). The exact magnitude might be less radical (e.g. OECD’s report) but most of the findings suggest that many manual tasks will indeed disappear, and that the access to future jobs will be increasingly limited to highly qualified people. The perceived value of tertiary education is also supported by the fact that close to 70 % of all young New Zealanders are expected to enter tertiary level study at some point in their lifetimes (OECD, 2016, Table C3.1). This is among the highest participation rates across the OECD countries and highlights the perceived salience attached to tertiary education. Hence, it appears that tertiary level study has become more characteristic and necessary in our 21st century lives. How then exactly, is tertiary education vastly different from rest of the public education system where (at least compulsory) user-pay has not been introduced? The more insignificant the difference in their functions, the stronger the argument in favor of a zero-fee model. But, at what cost? On the other side of the coin are the significant budgetary implications of the zero-fee policy. Labour has calculated that the Working Futures plan policy would cost $265 million in its first year and $1.2 billion at full implementation. This cost reflects the development over the past 25 years. One of the key justifications behind the user-pay policy was that it allowed increased participation. This expansion did indeed take place. However, it had an inbuilt mechanism against a significant future cost-sharing reversal: each year participation expanded and tuition fees increased, the budgetary consequences attached to a zero-fee policy became greater, impeding policy change. For instance, compared to the $1.2 billion price tag, in 1990 the cost of a moving to a fully zero-fee model was estimated to be less than $90 million. This cost has increased significantly over the years, for instance, the domestic fees collected at public institutions reached $345 million in 1997 and $860 million in 2013. Other financial arguments frequently employed to justify or criticize user-pay policies include the acquired public and private benefits. Even though these data should be treated with caution, the balance of individual and government returns can be helpful in determining whether there is significant over/under-investment. An international comparison across a number of OECD countries shows how private returns are the lowest for New Zealand men and the third lowest for New Zealand women. Also, the public rates of return are significantly lower in New Zealand: the average return for men is the lowest and for women the fourth lowest across the countries. Hence, the financial return perspective seems to offer limited justification for cost-sharing ratio changes as both private and public returns are notably low. A significant cost-related problem in the New Zealand context is the need to merge the zero-fee policy with the wide participation and open access traditions. For instance, the 68 % expected entry rate in New Zealand compares to 47- 57 % rates in countries like Finland, Sweden and Germany. Unlike the New Zealand laissez-faire approach, most developed countries limit access to government subsidised places. For instance, in the Nordic countries where no tuition fees are charged, governments control the supply of study places and entry is restricted through ‘Numerus Clausus’. To enroll, students need to demonstrate sufficient high school performance or sit entrance exams where applicants are assessed by their knowledge of the subject area or generic academic potential. These type of access restrictions come into conflict with the 1989 Education Act establishing an open entry tradition in New Zealand. Even though some moves to more restricted entry have been witnessed since 2008, these remain relatively insignificant. There is a legitimate claim for tertiary education’s provision with the same principles as those used in lower levels of education, i.e. state funded. So far this policy direction in New Zealand has been blocked by a combination of budgetary consequences and neoliberal paradigm emphasising tertiary education as a private good. However, a zero-fee model may be on the policy agenda this election year, in the form of Labour’s Working Futures Plan. But, considering the special features in the New Zealand context, i.e. low public returns, open access tradition and low budget surpluses, successive governments may try to contain fiscal costs by implementing savings elsewhere in the tertiary education portfolio. 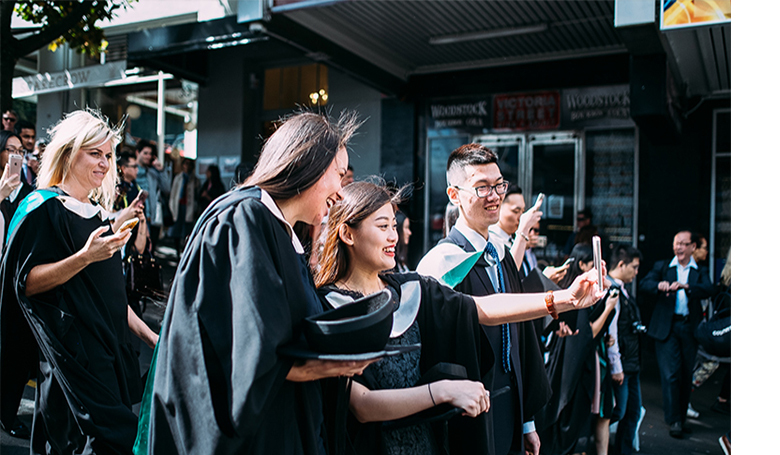 These saving measures could include contraction in the student financial aid, such as the re-introduction of interest on student loans as recently suggested by the Productivity Commission or tighter eligibility rules for student allowances. An alternative approach might include reductions of government subsidies in programmes not attracting zero-fee funding, such as post-graduate level study or structural changes in the current open access system. A close eye has to be kept on all consequential saving measures as these may potentially erode the key objectives outlined in the Working Future’s plan. 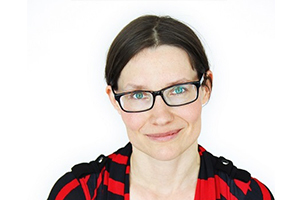 Pii-Tuulia Nikula is an education and public policy expert with a special interest in issues related to contemporary education systems and social policy initiatives in New Zealand and Finland. Pii-Tuulia holds a PhD in Politics and International Relations from the University of Auckland. She is currently working as a lecturer at EIT in Napier.